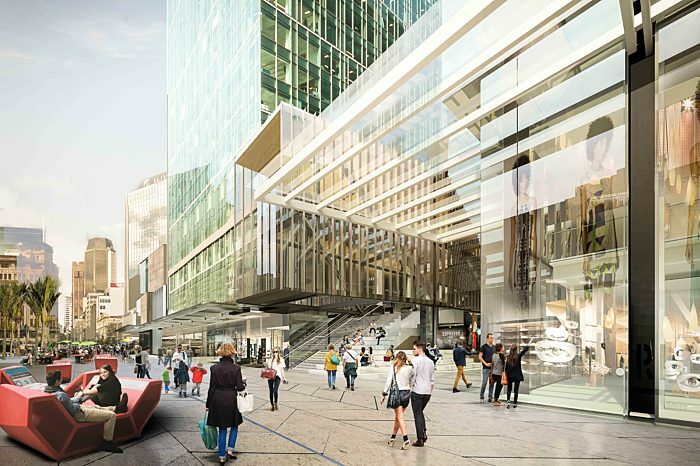 Commercial Bay is set to become the most transformational project Auckland has ever seen. Never before has a single project brought together the best of everything in one location – a world class office environment, public transport, international quality retail, public spaces, a luxury hotel, hospitality environments, as well as a striking urban design. At its core will be the stunning new PwC Tower. 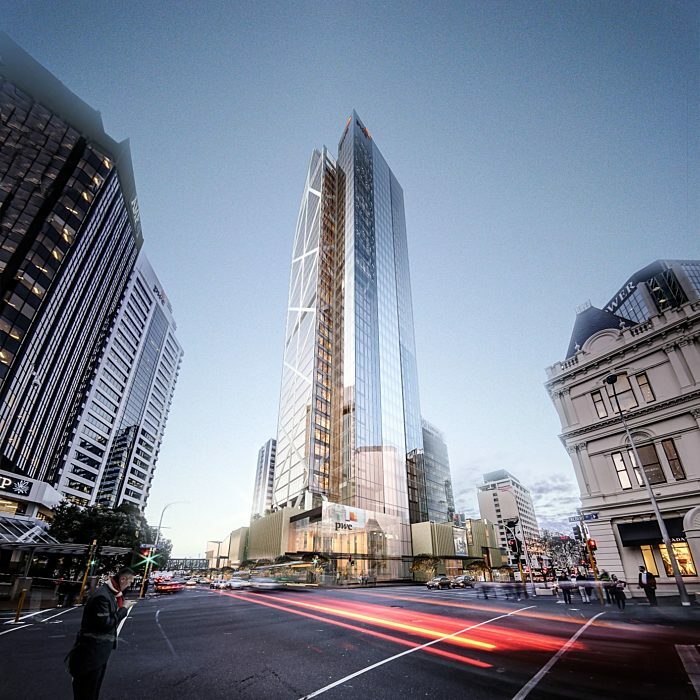 Designed by Warren and Mahoney in partnership with Woods Bagot this is a building that will transform Auckland’s skyline and has the potential to transform your business. 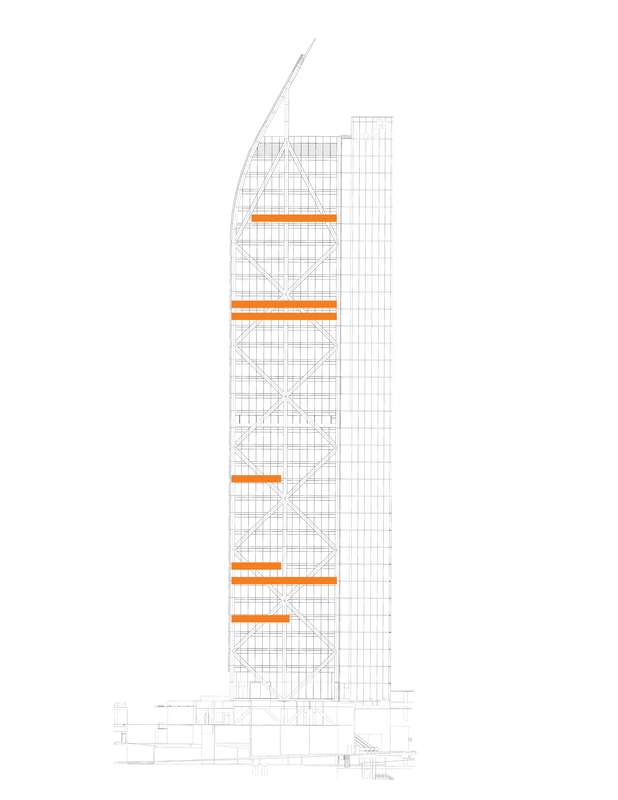 The PwC Tower has been designed from the inside out with a new generation floor plate. The tower offers dramatic views across the Waitemata Harbour to the north, east and west. The core located on the south of the tower with the glazed lift creates a memorable arrival experience. The C 1,350sqm floor plate is exceptionally efficient with a side core and minimal columns, allowing for a range of working typologies. It is ideal for businesses looking to implement agile and flexible working strategies. Commercial Bay extends the working space beyond the floor plate. 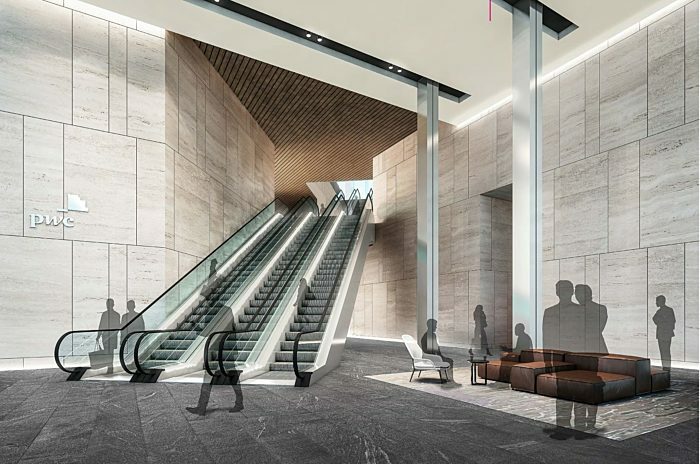 The Sky Lobby in the new PwC Tower is a hotel style environment creating an extension of occupiers working space. Offering a seamlessly digital experience, it is the ideal place to meet clients or colleagues. Beyond the lobby is the Sky Terrace, an outdoor sanctuary in the city. The urban rooftop landscape will be an adaptable space suitable for events from morning to night. Located on Level 6 the meeting suite is a flexible space available for booking from one hour to one week. With spaces available for large format presentations seminars, board meetings to intimate gatherings. Commercial Bay is located at the hub of Auckland’s transport network with easy access to the bus, train and ferry terminals. For the growing number of people walking and cycling to work, onsite bike storage, lockers, and showers, make these an easy alternative. From it’s leading-edge floor plate with 3m floor to ceiling height, side core and minimal columns to its next-generation amenities, this is worldclass design. Every aspect impresses, including an activated lobby ambience that welcomes you through to amenities such as changing rooms, showers and 230 cycle parks. Talk to Anthony about leasing space in PwC Commercial Bay. PwC at Commercial Bay lobby fly through. 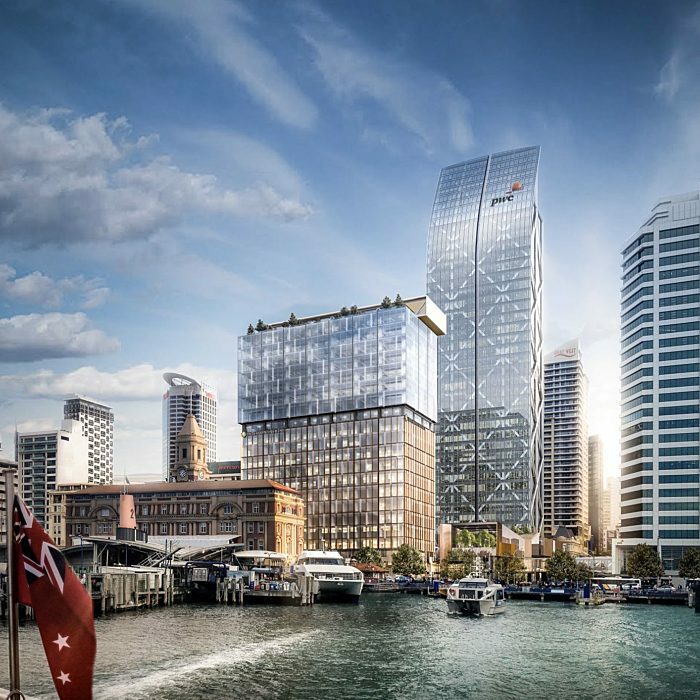 Download more information about the PwC Tower at Commercial Bay.